Land Elements is a landscape architecture firm that focuses on conceptual design, to create a unique sense of place for each project. We keep our processes consistent. Communication with clients and team members is important to ensure high quality design and customer satisfaction. As land stewards, we keep respect for the land and environment we work with in the forefront of our design. We create collaborative processes through our projects and aim to make valuable experiences for our clients. We are inventive designers always looking for new ways to fill fantastic, original spaces. We value innovation and design excellence to create creative solutions for clients. We partner with clients (architects and owners) to help us understand the goals and objectives for each project. We are a young, but mature firm with seasoned professionals who have a combined 20+ years of "in-field" practical application of design concepts. 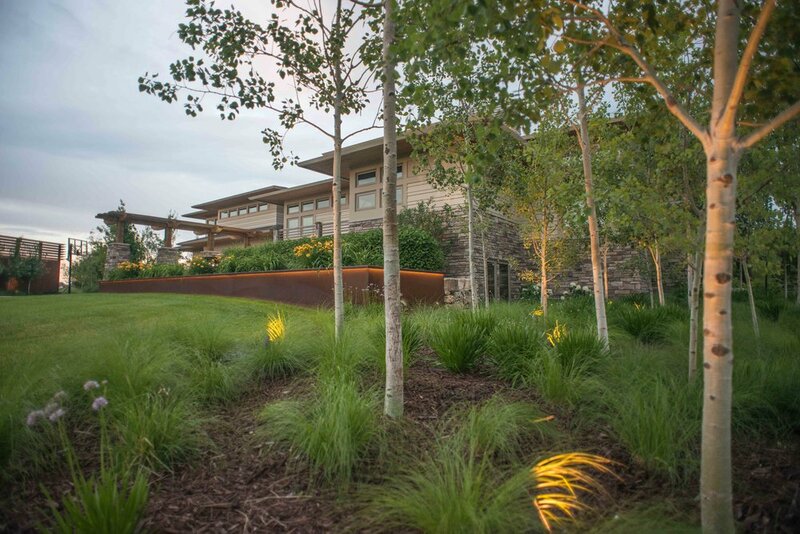 A team of landscape architects collaborating on concepts creates better designs, with the added benefit of increased capacity and flexibility to meet the needs of clients. We know how to design and estimate within budget parameters, based on proven systems for creating bidding and construction documents- critical parts of any project.